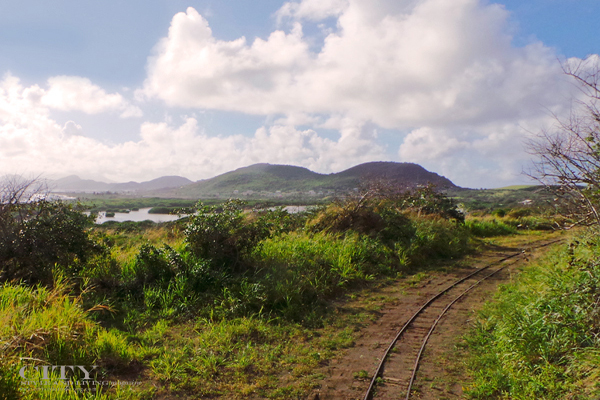 A view of the railway tracks of the St. Kitts Scenic Railway. 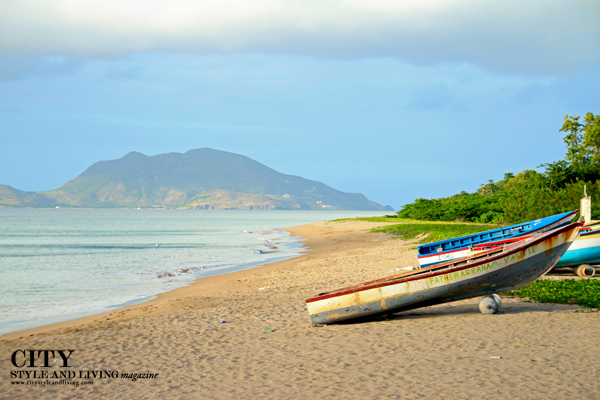 Take in the clear waters and unspoilt beauty of Nevis’ beaches. 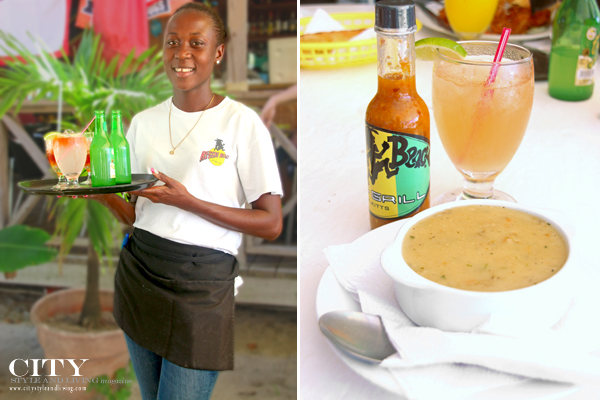 Enjoy an island specialty ‘ting with a sting’ cocktail and conch chowder at Reggae Beach (pictured here). But great versions are found throughout the sister island federation. 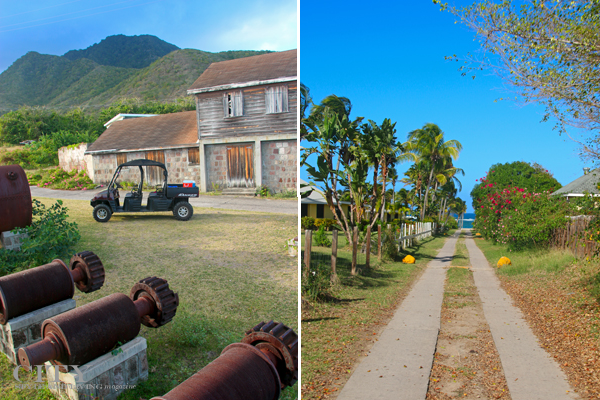 Funky Monkey Tours in Nevis at an old sugar mill and along a beach pathway. 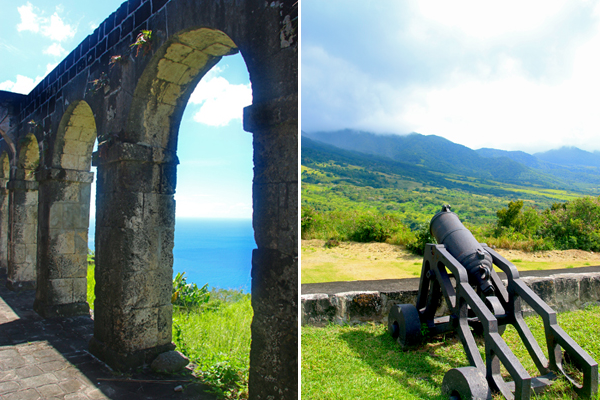 UNESCO World Heritage site Brimstone Hill with canons and archways is known as the Gibraltar of the Caribbean. 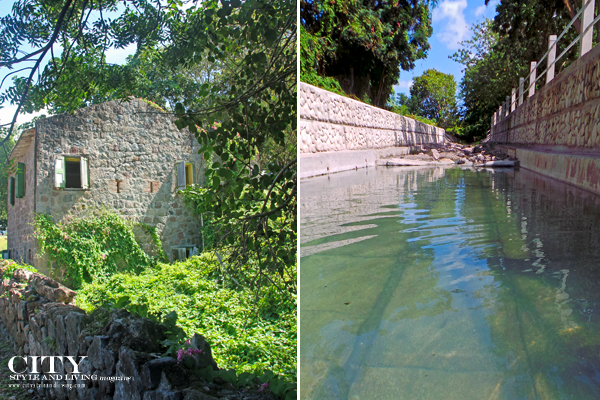 Nevis bath hot springs amidst the grounds of an historical former hotel. 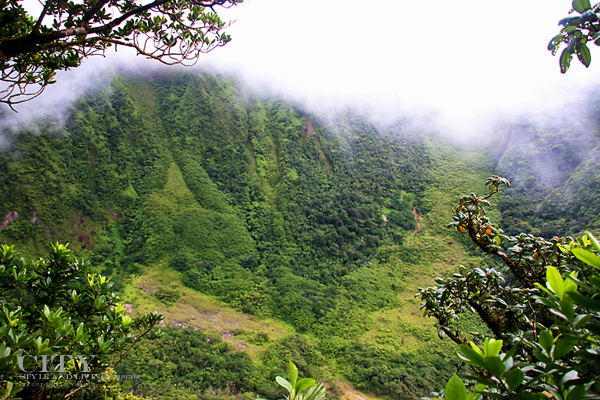 Hike to the summit of Mount Liamuiga, St. Kitts’ stratovolcano. 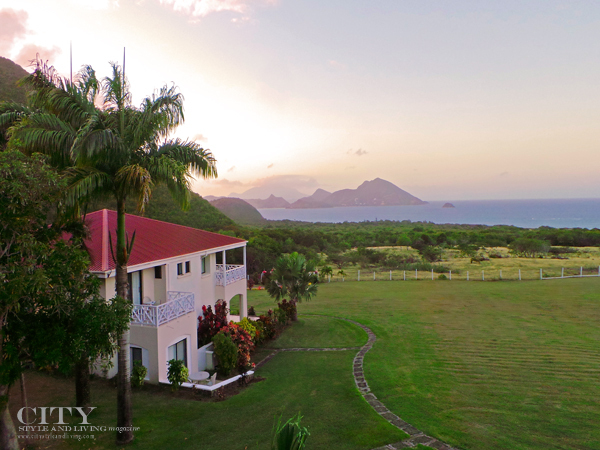 Sunset views at the Mount Nevis Hotel features silhouettes of the southern tip of St. Kitts. 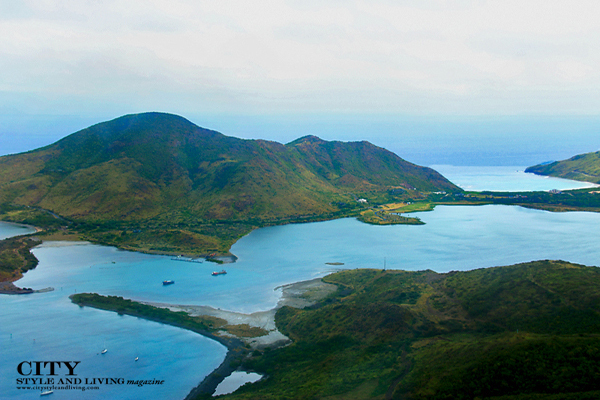 A view of St. Kitts from aboard Temsco Helicopters. Indulge in a variety of water sports at Cockleshell Beach including paddleboarding, snorkeling, water jet pack, swimming or just relaxing on the sand. 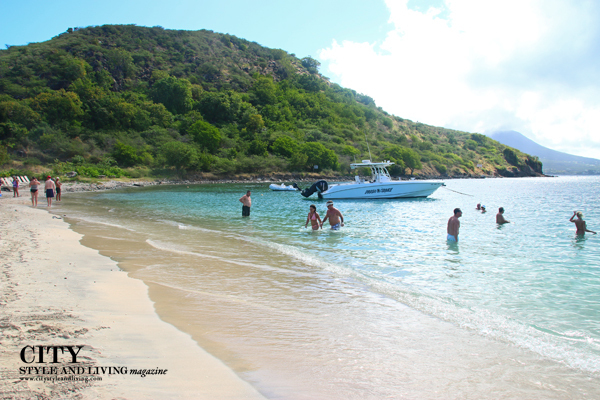 Read more about St. Kitts and Nevis in the City Style and Living Summer 2014 issue.